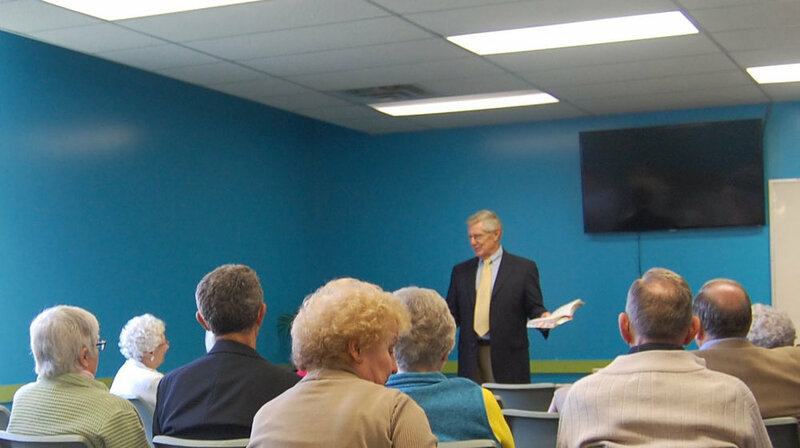 Adult Sunday School is offered weekly from 9:30 to 10:30 a.m Sundays from September through early June, and sometimes has special summer sessions, as well. We engage in discussion on various topics, from straightforward Bible study to discussing "Emergence Christianity" and what the role of church is in the modern world. Usually led by members, the group also welcomes guest speakers from Trinity Lutheran Seminary, who can delve deeply into their areas of expertise. Our Adult Sunday School is currently studying Luther and the Scriptures. As we look ahead to the 500th anniversary of the Reformation, this is a great opportunity to learn more about the legacy Luther left the Christian church through his interpretation of scripture.